In my opinion the DWS780 is the best model of mitre saw, that Dewalt have ever produced. In its original version form it was a huge best seller. This is simply that model now converted and improved to work with the 110 Volt transformed and safer on site power supply. 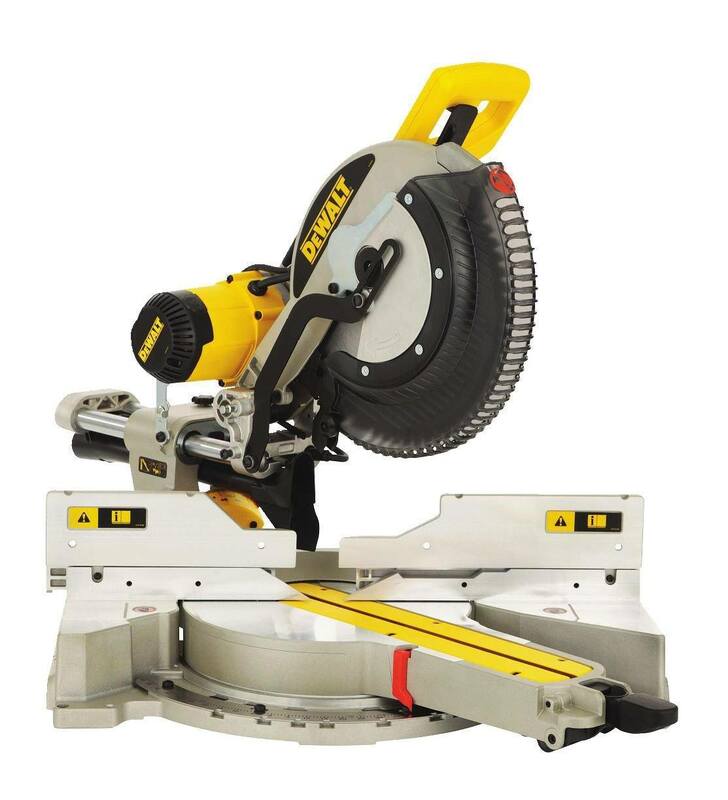 For me that means you are getting all the features of a fantastic mitre saw, in this building site voltage option.​ This saw will be able to handle just about any task that you can throw at it. This model is built to last,and rugged and tough enough, to survive the abuse that a normal building site can throw at it. Yes it comes with a hefty price tag, but that is the only thing I can see to complain about. Going back over the mitre saws released by Dewalt, one of their very best models was the DW718XPS. This later evolved into the DWS780 and became hugely popular as a great work horse of a mitre saw. One feature buyers talk about a lot is the XPS Shadow line cut indicator. When you need a fast cut, but one that is highly accurate, then this shadow system works great. When cobined with a light, it really makes the whole cutting process a great deal easier. This saw can cut decking, sleepers, posts, skirting boards and just about anything that you can throw at it. It is also easy to use depsite the many functions. It will take a little time initially to familiarise yourself with it. Once that is done though, you will see that it is very plain sailing. The quick release bevel stop setting is useful, as is the mitre and bevel controls. There is a large dual sliding fence ideal for larger material cuts at any angle. This DWS780 model is really easy to move around the workplace. Combine all of that with decent dust control, and electronic speed, and you have one powerful and multi-purpose saw.